First Day of “I-Squared” | NJNA is Blogging! So, today was the day that I started my second class, “Irresistible Irridescents” or “I-squared” as I affectionately call it! This beaded design is taught by Nancy Cucci who lives a few miles from Anaheim and is a wonderful teacher. To start off, because she could use her car to get her kits to us, she provided them in these lovely boxes. 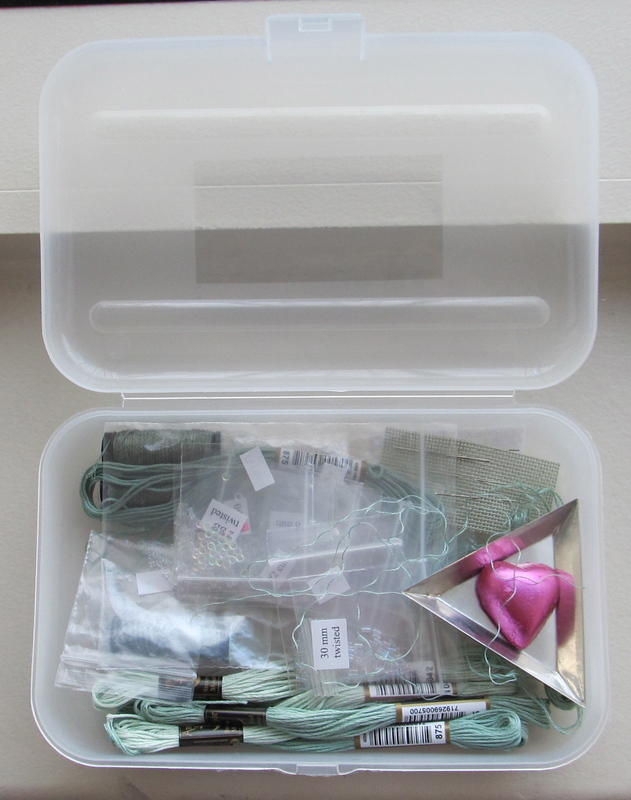 In addition to threads and needles, the kit includes about fifteen different types of beads, a triangular beading dish, and a heart shaped dark chocolate See’s candy heart! What a fabulous kit presentation — and there is enough space to store my thread heaven, my Tacky Bob, and my laying tool! Wonderful! I am doing the green colorway, a few in our class are doing blue, and one is doing grey. One rogue stitcher is doing a purple/lilac colorway. The beads are all clear, so they pick up whatever color canvas and thread are being used. I still want mine to be in salmon! Some of the beads are very special antique beads. 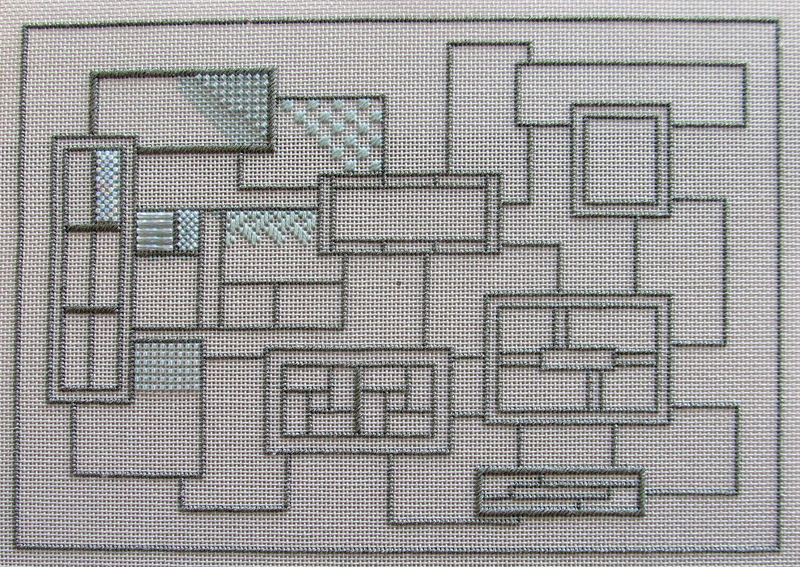 I-Squared Progress at End of Day One! Seeing this piece in person is soooooo much better than the picture in the Seminar Brochure. Tonight I went to the Expo — very interesting displays of gadgets and projects. 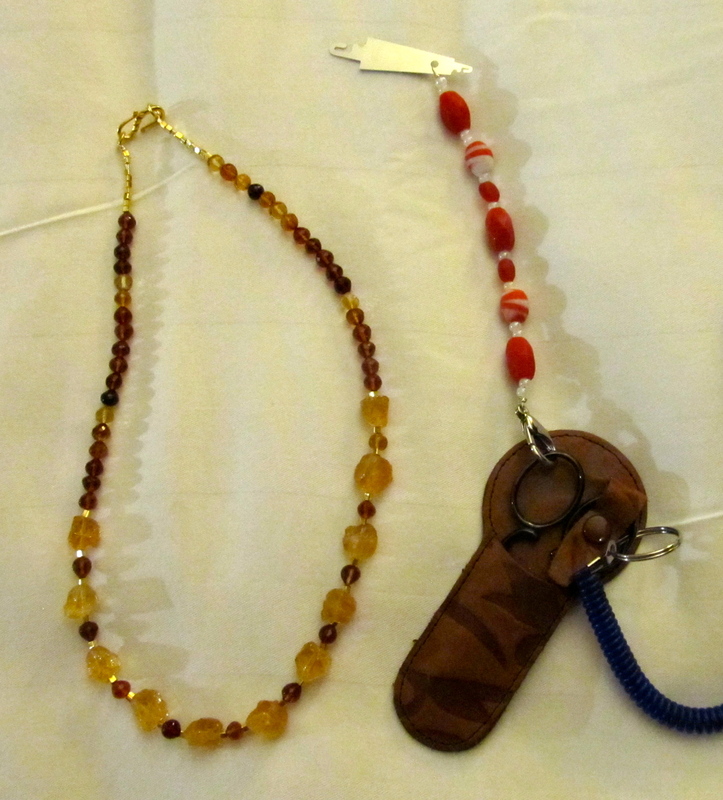 I bought a needle threader minder and a lovely necklace!